Shanghai Hongqiao International Airport (IATA: SHA, ICAO: ZSSS) (simplified Chinese: 上海虹桥国际机场; traditional Chinese: 上海虹橋國際機場; pinyin: Shànghǎi Hóngqiáo Guójì Jīchǎng; literally "Rainbow Bridge International Airport") is one of two airports in Shanghai, China. It is located in Changning District, 13km west of downtown Shanghai in Puxi, and is closer to the city than Shanghai Pudong International Airport, which is located at the eastern edge of Pudong, 40km from the city center. In 2009, Hongqiao airport handled 25,078,548 passengers, making it the fourth busiest airport in the People's Republic of China. The airport was also the 5th busiest airport in terms of cargo traffic and the 7th busiest airport by traffic movements. 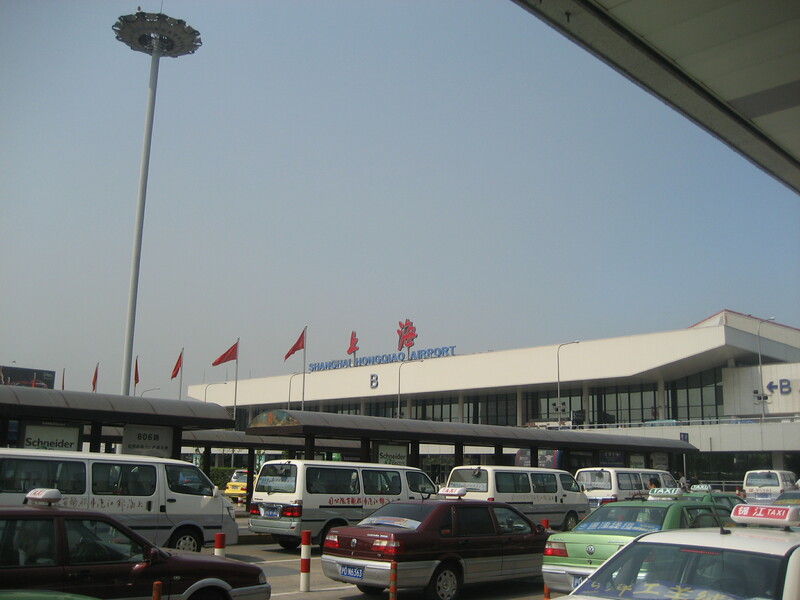 Before the completion of Shanghai Pudong International Airport in 1999, Hongqiao Airport served as Shanghai's main international airport. However, after the completion of the Shanghai-Pudong International airport, almost all international flights were subsequently moved away from Hongqiao airport. The airport presently offers three international and cross-strait routes with "city-to-city" service to central Tokyo's Haneda Airport which started on September 29, 2007. Services started to central Seoul's Gimpo International Airport on October 28, 2007, and to central Taipei's Songshan Airport on June 15, 2010. Service to Hong Kong will begin on September 10, 2010. 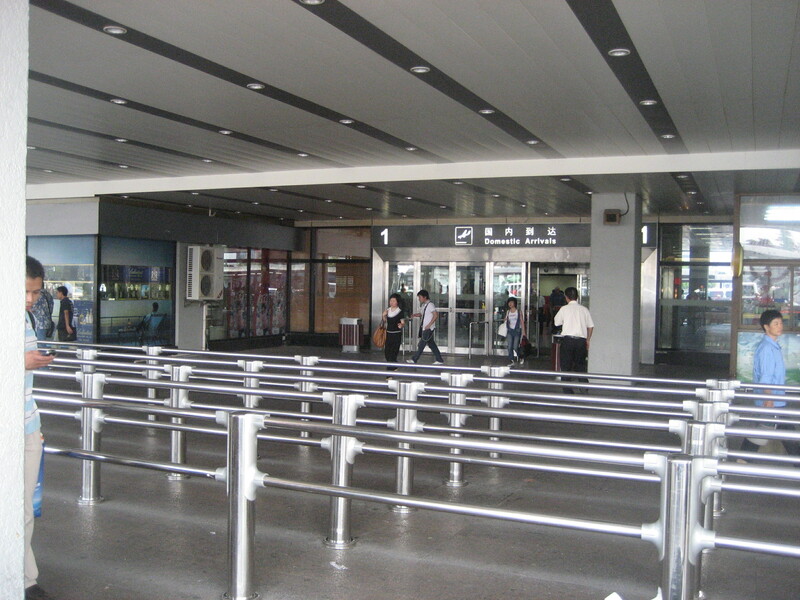 The Hongqiao Airport is now connected to the city's metro network. A stop on Line 2 was opened at the new Terminal 2 of the airport on March 16, 2010. In October 2010, Shanghai Metro Line 10 will connect to the airport as well, with stations at both Terminal 1 and Terminal 2. A taxi rank serves the airport from the arrivals level. A bus stop provides various services to other parts of the city. A minibus route terminates at Jing An Temple station. The proposed extension of the Shanghai Maglev Train from Longyang Road through Shanghai South Railway Station to Hongqiao would connect the two airports. At top speed, the maglev would take only 15 minutes to travel the 55km route. Original plans called for completing the extension by 2010, in time for the 2010 Shanghai World Expo; however, the Hongqiao extension has been postponed. There have been discussions about slowing the Maglev within urban areas but allowing full-speed operation along non-urban portions of the track. RSTD SSR transponder rqr for tkof and ldg. Turns greater than 90 proh on rwy and twy.